Location, location, location. Cedar Ridge is one of Irvington's most desirable neighborhoods. Expansive custom renovation in 2007 by top well known architect Christina Griffin. 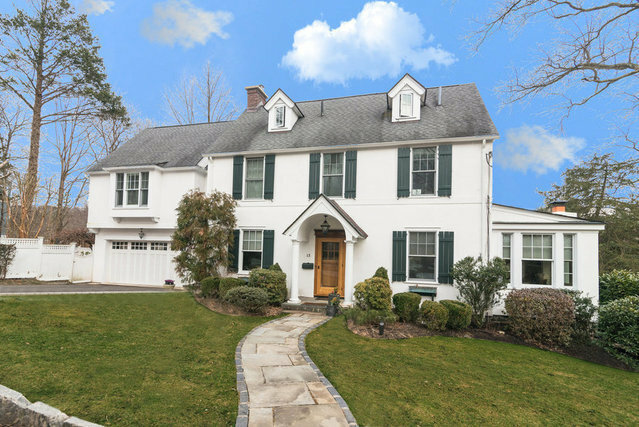 This gorgeous Colonial exudes warmth and charm from the second you walk in the door. The bright and open living room with gas fireplace, built-ins and semi-vaulted ceiling provide a cozy atmosphere to unwind or to spend time with family and friends. If you love to cook, you'll enjoy the spectacular chef's eat-in-kitchen with top of the line appliances, custom cabinetry, custom Brazilian Quartz counter tops and storage galore with plenty of space to serve your guests in the formal dining room. The master suite has high ceilings, walk-in closet, dressing room and master bath with separate tub & shower. The laundry room is ideally located on the second floor along with an en suite bedroom with full bath, two more bedrooms and hall bath. Beautiful hardwood floors throughout. Private enclosed patio with English garden. Walk to town, schools, Halsey pond, Aqueduct and train. This home is not to be missed.